The moment I sent my camp participation fee was the same time I decided to experience something that I knew would be etched in my heart for a very long time. I liked the idea of traveling alone to somewhere I have never been to; perhaps even live for a week with people whom I have never met before, and oddly, the thought of boarding a plane. However, everything went downhill on that very day I was to experience my first flight. Why? Because I missed it. I knew that I had to spend for another plane ticket that was relatively expensive and of course, travel farther since I had to go to another airport. It came to a point when I contemplated giving up my slot to the summer camp because of the hassle I knew I had to face if I continued. But, as luck would have it, my camp story was not about to end there. With the help of a camp facilitator, Ralph, and the WYA Asia Pacific Regional Director of Operations, Joyce, my hopes were refueled enough to keep me going. And to my surprise, I (finally) did make it to the camp. Truth be told, I still had hesitations on the first day. I wondered if what I got into was really worth the effort. But again, to my surprise, I saw a glimmer of light breaking through the clouds of doubt in my mind; I was surrounded by campers, facilitators, organizers, and venue staff, who made me feel at home. I started to like the plenary and breakout sessions that we had for they were enriching to the mind and the soul. They made me think outside my thought patterns, which I am thankful for because I “learned how to see again” in terms of what should be and what should not be. Moreover, as someone interested in law, policy-making and upholding the rule of law, I enjoyed every session that we had due to the fact that each lesson gave me great ontological insight and caused me to have a better view of the subject. I came across different ideas from history that continue to enlighten me until today. And as if these weren’t enough, besides the intellectual and moral lessons I learned, I also experienced Cloud 9 during the days that I spent at the resort because of the company that I shared with my teammates, the rest of the campers, the facilitators, and the resort staff (they were so accommodating and kind as if they were your older siblings or even aunts/uncles). These friendly faces were coupled by the beauty that I witnessed around us: the serene waves washing up the shore, the warm and fragrant breeze, the sunrise on the beach and sunsets that we oftentimes just see in movies. The overlap of these two–the company and the environment, was something to remember. The fun, funny, and pleasurable activities especially the “AMAZING RACE” (No Spoilers. It was AWESOME) was another thing I will never forget. Looking back, I did not feel as if I lived with strangers because each person had become a friend. We helped each other, we enjoyed each other’s company, we shared laughs, smiles, food, stories (the type that would keep you up all night sharing), and sentiments on a lot of things inside and outside the camp. Everything happened at a height that surpassed all my expectations that for a moment, I thought to myself that I didn’t want the camp to end. 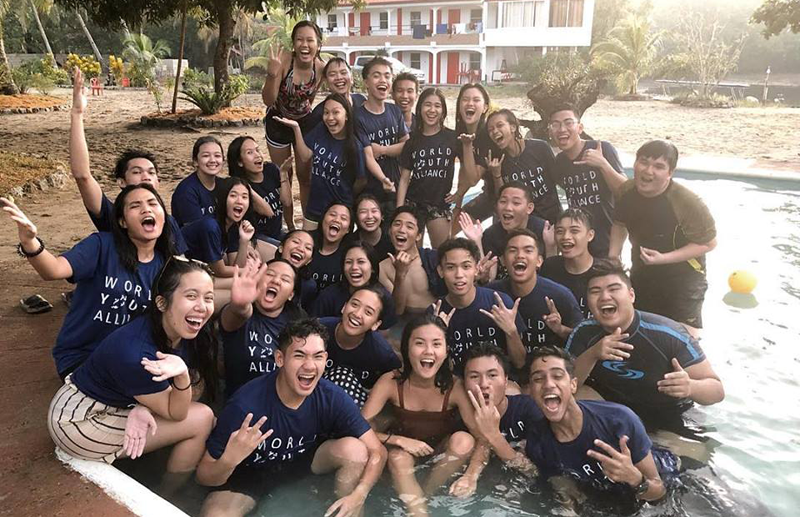 However, one thing I know is that the memories we made at the camp would live on; the bond that was created couldn’t be broken; the lessons we learned would pass on. All of these would serve as light unto our path in the journey of life. Little did I know that both plane tickets I paid for weren’t for a single movie, but rather, a marathon of blockbusters. I wish I could say more. Take my word for it; take the leap, join the next camp, and become part of something bigger than yourself. 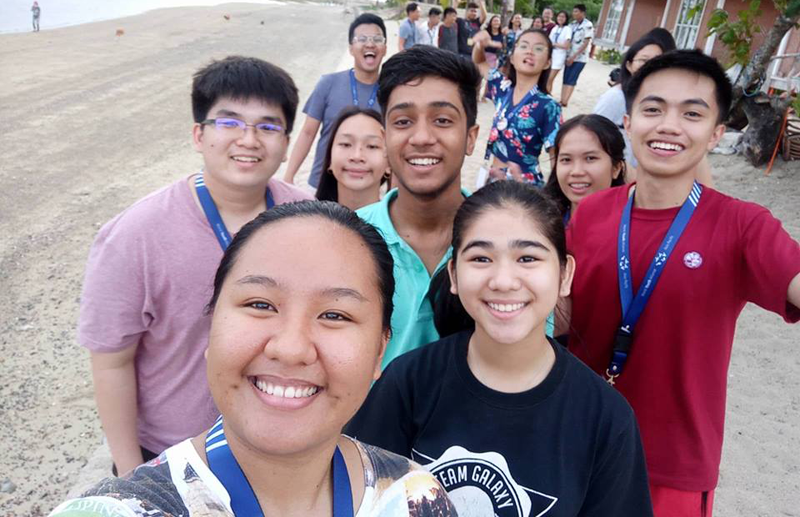 Thoughts About Camp is a blog series written by WYA Certified Members and Summer Camp graduates from the Asia Pacific region. Each article contains a personal reflection from a WYAAP Summer Camp graduate about how their experiences from the camp helped shape their understanding of themselves and of the world around them. The next WYAAP summer camp will be held at Binmaley, Pangasinan”. I saw this on the WYAAP website.